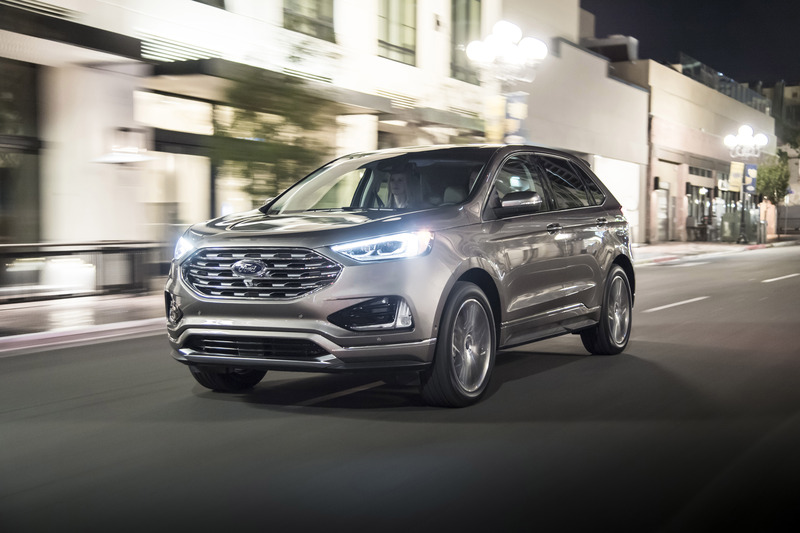 With a new look for 2019, and a host of new features as standard equipment, including most standard drive assist technologies than any other midsize SUV. 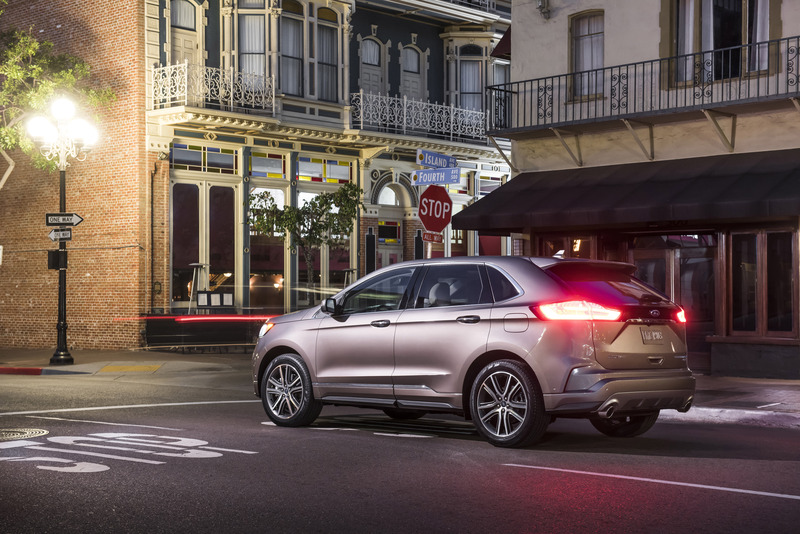 Ford also introduces to the line-up an all-new Edge ST, the first utility from Ford Performance (see Ford Performance Vehicles section for details). 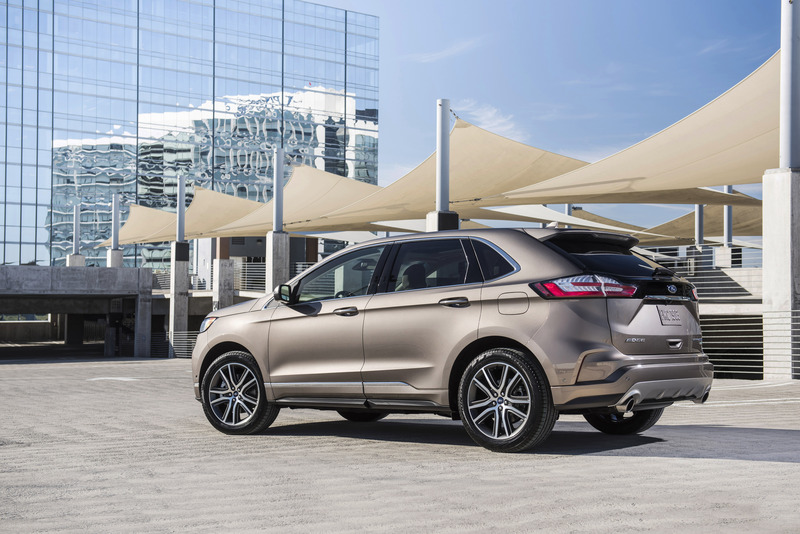 Edge offers SE, SEL and Titanium trim levels – all wearing sportier new front and rear fascia, grille, hood and liftgate. 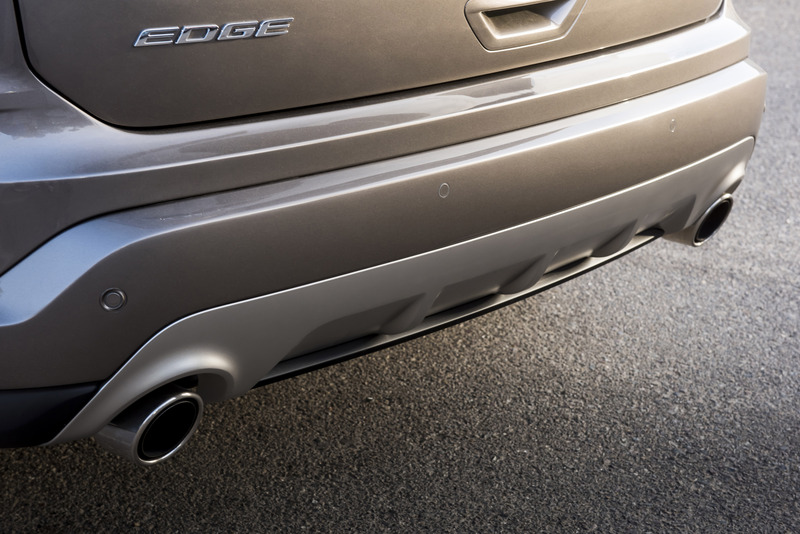 Edge features a new 8-speed automatic transmission and Auto Start-Stop is standard across the range. 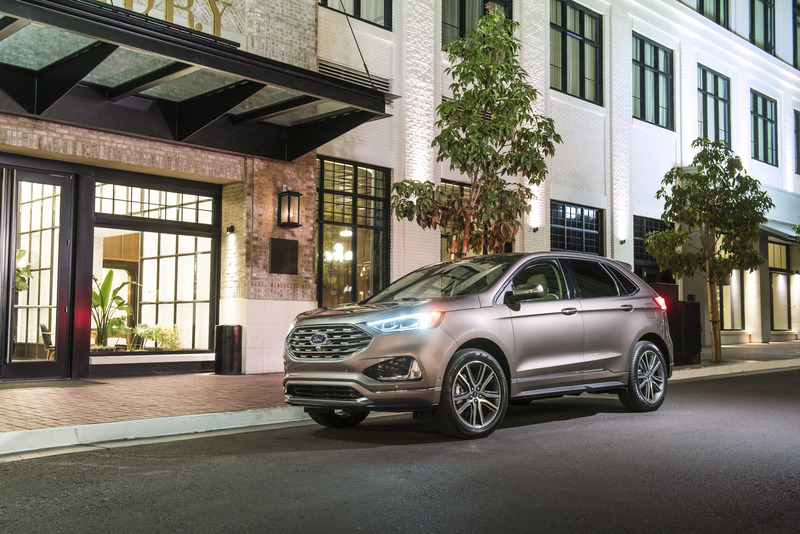 Edge is the first utility with standard Ford Co-Pilot360™ including Pre-Collision Assist with Automatic Emergency Braking, Blind Spot Information System with cross-traffic alert, Lane-Keeping System, rearview camera and auto high-beam headlamps. Post-impact braking and rain-sensing wipers are also standard. 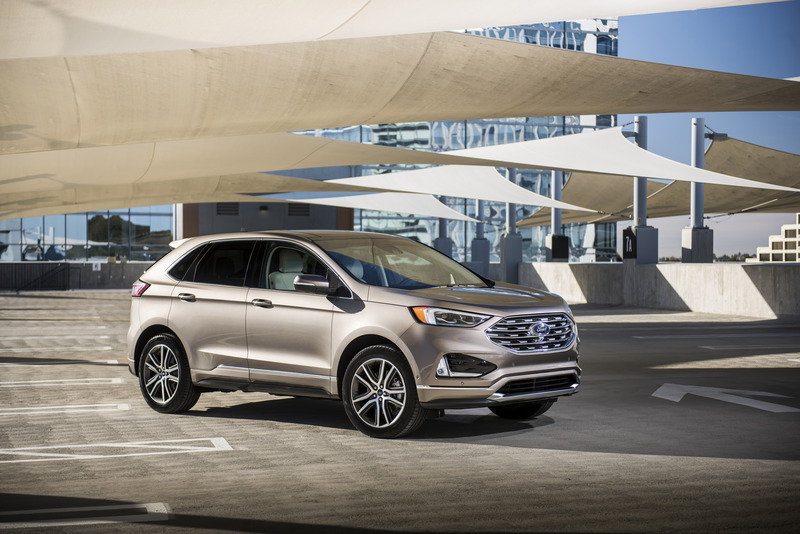 Ford Co-Pilot360 Assist+™ Ford Co-Pilot360 Assist+ Ford Co-Pilot360 Assist+ is available on SEL, Titanium and ST and includes Adaptive Cruise Control with Stop & Go and Lane Centering, Evasive Steering Assist and voice-activated navigation with SiriusXM Traffic and Travel Link®, making the 2019 Edge the smartest Edge ever. SiriusXM® Radio is standard on all series. A 12-speaker B&O PLAY premium audio system by HARMAN is standard on Titanium and ST. FordPass™ Connect, previously SYNC® Connect, is standard across the lineup. Edge is compatible with popular tech features such as available Android Auto™, Apple CarPlay™, Ford+Alexa and Waze navigation. Exterior enhancements include available bi-LED front lighting and new fog lamps avaiable on SEL models and above. 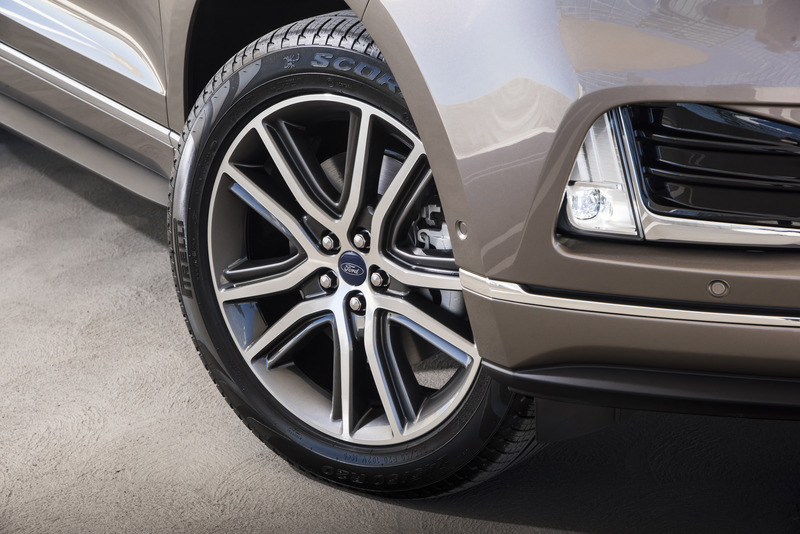 Five newly styled wheels are available, including an 18-inch bright-machined aluminum wheel with premium dark stainless-painted pockets. Interior changes include a standard rotary gearshift and wireless charge pad, which is standard on Edge Titanium and available on Edge SEL. and ST. The console features two new storage bins. Silver roof rack side rails are standard on Edge SEL and Titanium not equipped with available Panoramic Vista Roof. The rearview camera now includes a lens washer. A front air curtain is standard across the range. ActiveX, a unique seating material is available for Edge SEL. New Titanium Elite Appearance Package includes 20-inch brightmachined aluminum wheels with premium dark stainless-painted pockets, body-color front bumper and lower fascia with chrome inserts, body-color rear bumper and body-color side cladding with bright chrome inserts. SE fleet Driver’s Package includes 10-way power driver’s seat and reverse sensing system.